Founded in 1869 by the British, Lesotho's main city--Maseru--lies on the border with South Africa on a plateau surrounded by red hills. You'll find plenty of places to visit near Maseru: Teyateyaneng (Ha Kome Cave Houses & Setsoto Design Gallery), Morija Museum & Archives (in Morija) and Gates of Paradise Pass (in Malealea). 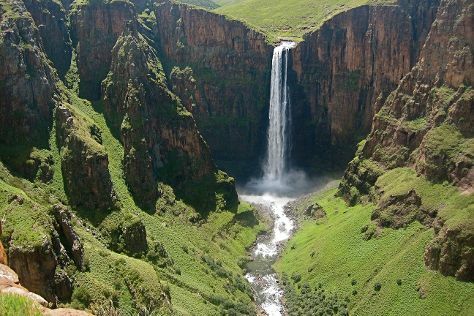 There's lots more to do: admire the sheer force of Maletsunyane Falls, steep yourself in history at Thaba-Bosiu National Monument, explore the historical opulence of Royal Palace, and stop by Lesotho Co-operative Handicrafts. For other places to visit, maps, reviews, and more tourist information, read our Maseru vacation planner. Cape Town, South Africa to Maseru is an approximately 6-hour combination of car, flight, and bus. You can also drive; or do a combination of car, bus, and taxi. Traveling from Cape Town in September, you can expect nighttime temperatures to be a bit warmer in Maseru, with lows of 15°C. On the 9th (Sat), you're off tohome.